A video of a large alligator cruising near the Laguna Madre shoreline on South Padre Island generated more than 70,000 online views in three days. That’s as good as gold for Jerry and Jackie Wilson, owners of South Padre Network, a digital business the Wilsons operate from their home. The Wilsons posted the alligator video, captured by their web cam at Sea Turtle Inc. on Facebook. The post included a link in the text to one of their customers and sponsor of that cam, the Ramada Inn on the Island. “All those people saw that alligator and had the opportunity to click on the Ramada link,” Jackie said. Making the most of their South Padre Network website and social media, the Wilsons have used their digital savvy to build a thriving business around promoting the Island as a tourist destination. When they moved to the Island in 2002 they had different plans. 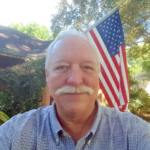 “I was going to rent Harley-Davidsons and work on air-conditioning,” said Jerry, who had made his living doing those things in Arlington, Texas. Jackie was a hobby photographer looking to parlay her skills into a business. The Wilsons quickly saw that the rapidly growing digital world presented a different opportunity. They began building commercial websites and buying URLs. 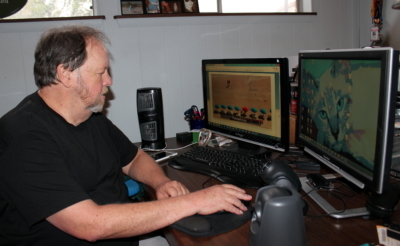 “At one time I had 640 URLs with South Padre or South Padre Island in them,” Jerry said. Since then Jerry and Jackie have become tireless promoters of the Island as a tourist destination. 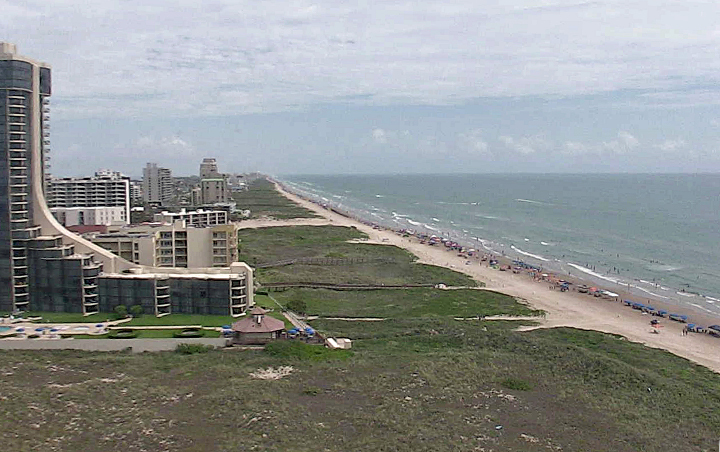 They developed their South Padre Network website and began installing web cams, which would become a centerpiece of their efforts. Jerry manages the web cams, their website and social media presence. Jackie works constantly to capture events and activities with her camera. Together they collaborate on how to stay current and relevant in the fast-paced digital world. 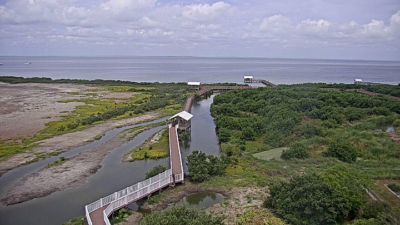 By the end of summer they will offer views of the beach and the Laguna Madre from 18 high-definition, live-streaming, remotely controlled web cams. This fall they have plans to start a campaign of social media giveaways, where users can interact by posting photos they have taken at the Island. The winner will be determined by the picture that gets the most likes on Facebook. The Wilsons’ first cam was placed atop the Suntide II Condominiums. But a dispute over the rights to that camera prompted them to move it to Louie’s Backyard. “I’m the kind of guy that when you tell me not to do something, I’m going to go out and do it five more times,” Jerry said. 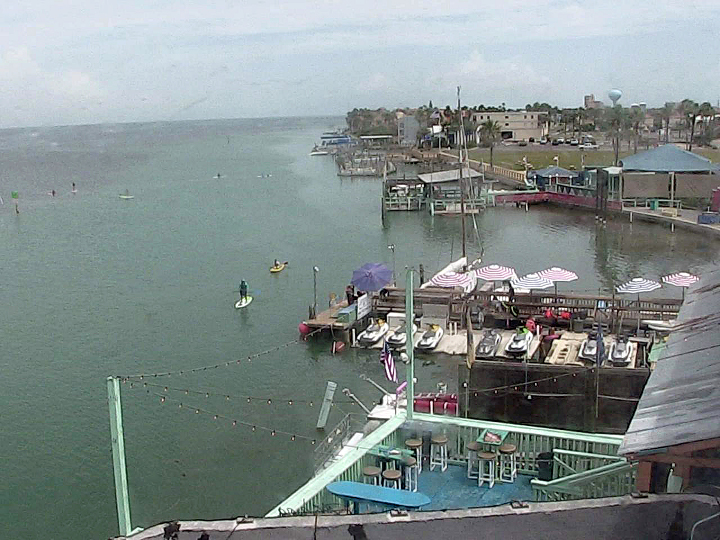 South Padre Network sells sponsorships of the cams and promotes those and other businesses through their website and on Facebook. “Everything we do is advertising but most of it doesn’t look like advertising,” Jerry said. Their Facebook posts of cam views and photographs include links to their customers as part of the text, creating a networking opportunity for the businesses. One example is the Danny B charter fishing boat that docks at Louie’s Backyard. The Wilsons regularly post web cam videos of the boat coming and going on Facebook, all the while promoting Louie’s through links. Daily posts may start with a live view of the sunrise over the Gulf of Mexico, followed by visitors frolicking in the waves, people enjoying parasailing, nature views from the SPI Birding and Nature Center and more. The Wilsons’ “See South Padre from 10 live cams” Facebook page boasts more than 64,000 likes, a valuable audience. “People on Facebook are the people who book hotel rooms,” Jackie said. Over the years South Padre Network has built an email distribution list with some 56,000 addresses of people who sign up for the Wilsons’ regular newsletter. The newsletter is an unabashed tourism promotional tool for the Island. Jerry said the electronic newsletter has an open rate of 64 percent, well above the industry average of about 13 percent.